Florence is full of artists; they come from all corners of the globe inspired but the city’s beauty, its rich history in the arts and the light. Yes, the light. It really is that special. 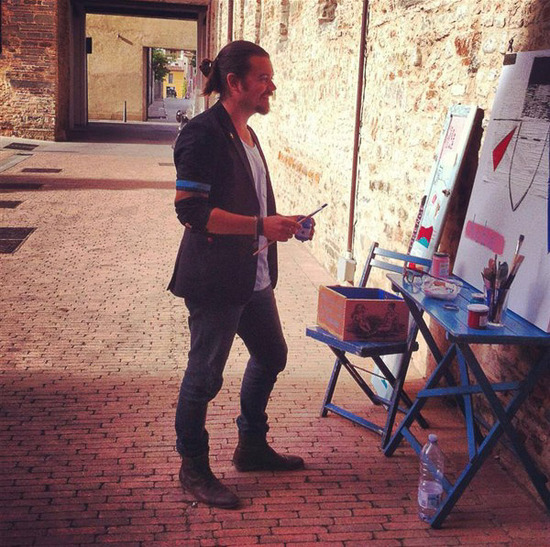 But for Patrik Lundell, he didn’t come to Florence, initially at least, for the reasons most artists do. Rather it was the love of a lady, versus the city of Florence, that drove him to Italy. Meeting Jacqueline changed his creative course like that best imagined in a Hollywood tale. For she, a beautiful and talented interior designer had taken a course at renowned Florence Design Academy. So Patrik, in passionate pursuit, followed her yet found before long Florence was a good choice for his own artistic outlets too. 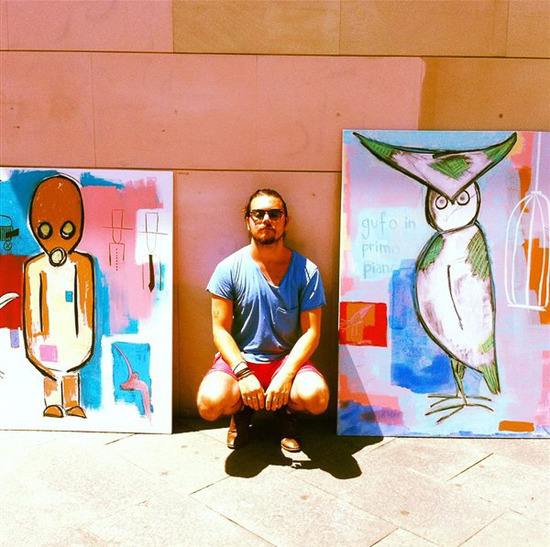 An established artist in his native Sweden, Patrik has exhibited work in many spaces in Stockholm. 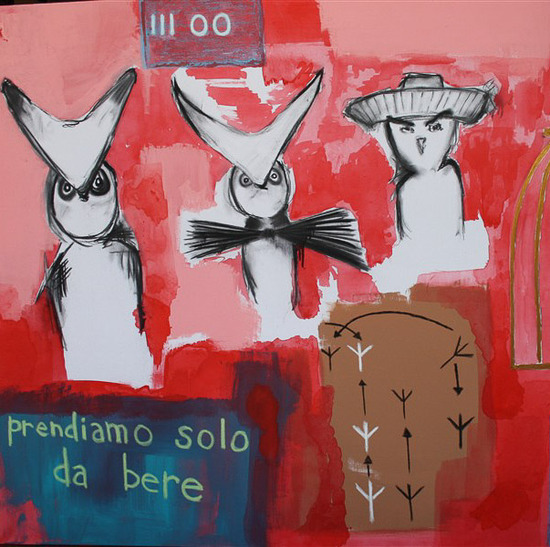 Having studied at Basis Art school in the city he then took a Fine Arts Certificate in Florence and is currently studying at Il Bisonte, International School of Graphic Arts in the San Niccolo district. 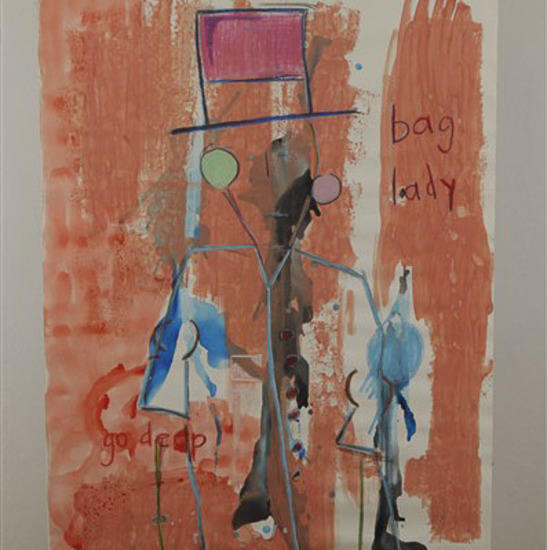 All of these artistic experiences have helped to evolve his bold, modern style of art that combines his own quotes with symbols and figures around these words. 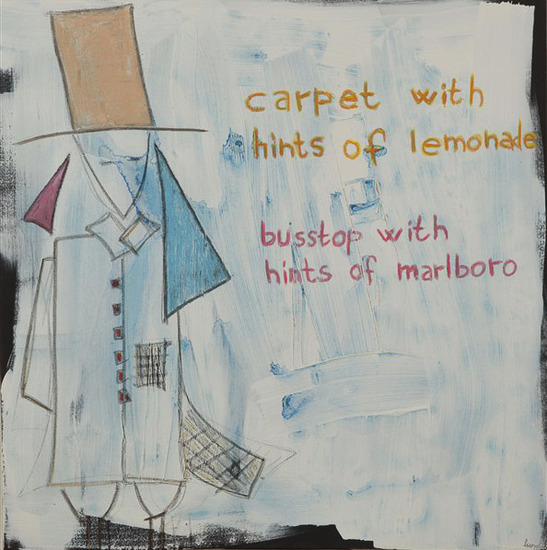 He name checks Pablo Picasso and Jean-Michel Basquiat as his art heroes and this unique narrative in contemporary style can be seen in his work today. 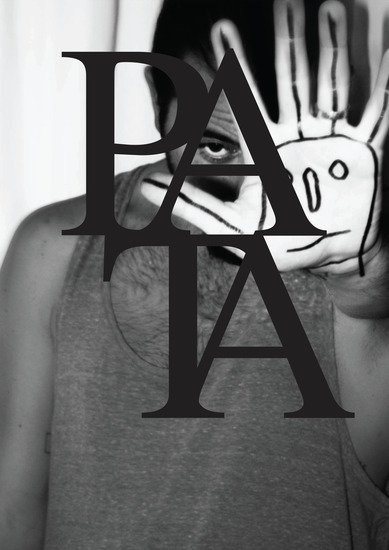 Often going by the moniker, PATA, a nickname from childhood, Patrik ultimately thinks his art is not limited to one group, rather believes all art is relevant, from gallery to street, as long as it’s done with passion. He takes recycled materials including cardboard and wooden window frames, reworking these materials to create something fresh and exciting. 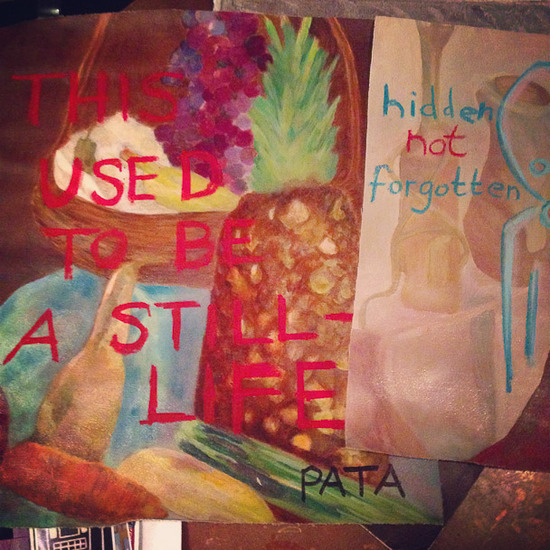 Patrik also has a passion for sharing believing art should be for all and fun too. 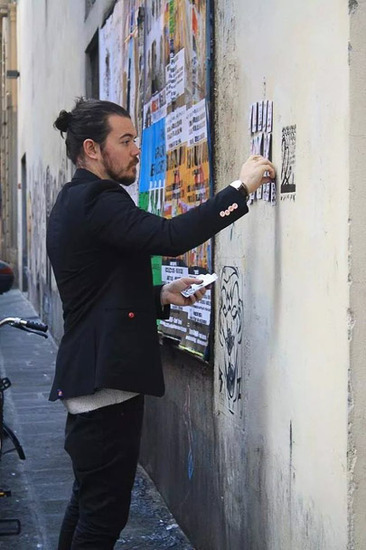 His own street art has evolved during his time in Florence; he cites French street artist Clet as an inspiration. 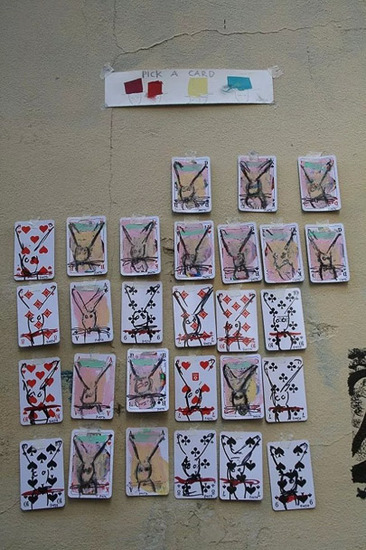 His most recent installation, "Pick a card, any card" saw Patrik place playing cards around Florence, each individually designed and put in secluded corners of the city to be taken away by the public. 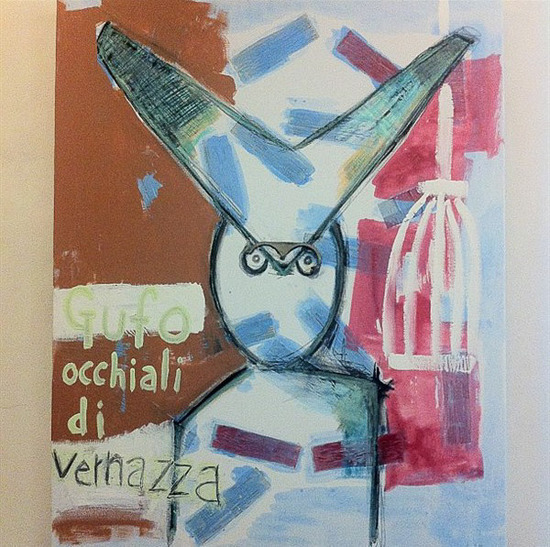 Beyond the streets you can find Patrik's work currently in Trattoria Cent'Ori restaurant in San Niccolo (Via San Niccolo, 48r) and recently on the wine label for Enoteca alla Sosta dei Papi featuring the figure "Waiter". Florence has been supportive of Patrik’s talents and now he has ambitions beyond Europe including to continue to collaborate with other street artists. 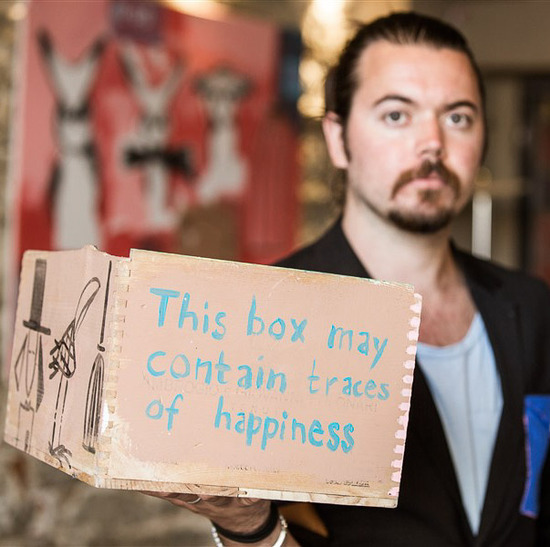 With an exhibition in Sweden, marrying his Jacqueline and continuing to do what he loves - make art for the people – Patrik’s future is rather full and looking very promising. He will return to Sweden in December so this part of the Italian tale is nearing the end yet not necessarily forever. 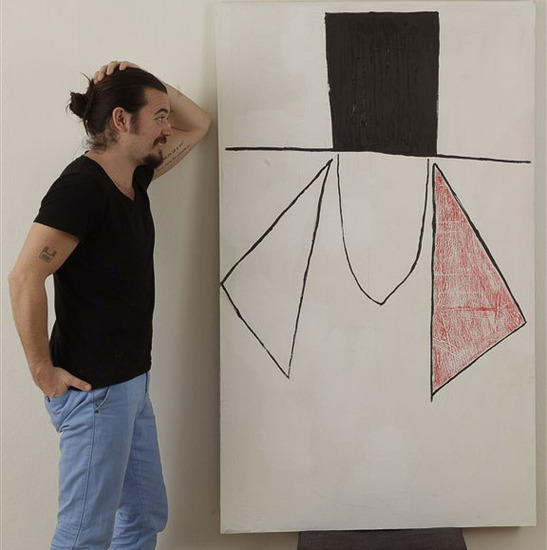 This month sees Patrik's last exhibition in Florence at Hemingway in Oltrarno. The launch event is Thursday 20 November 2014 and you are invited. As Patrik says, “I want to give something back to the city that I have come to love.” And you too can come see his latest work over a cocktail or two. It’s all about sharing after all. 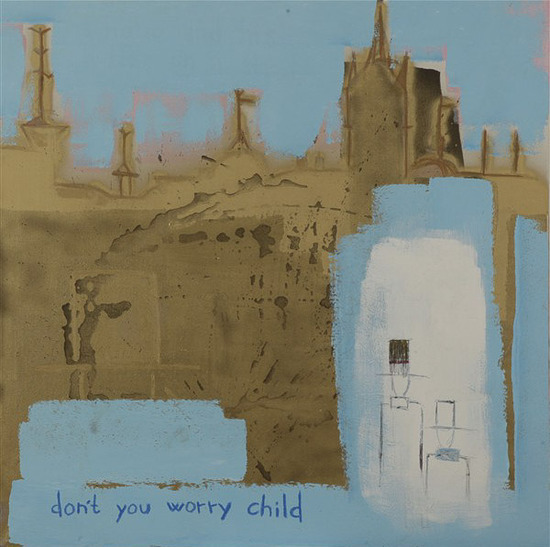 And Patrik Lundell is an artist worth talking about and sharing.